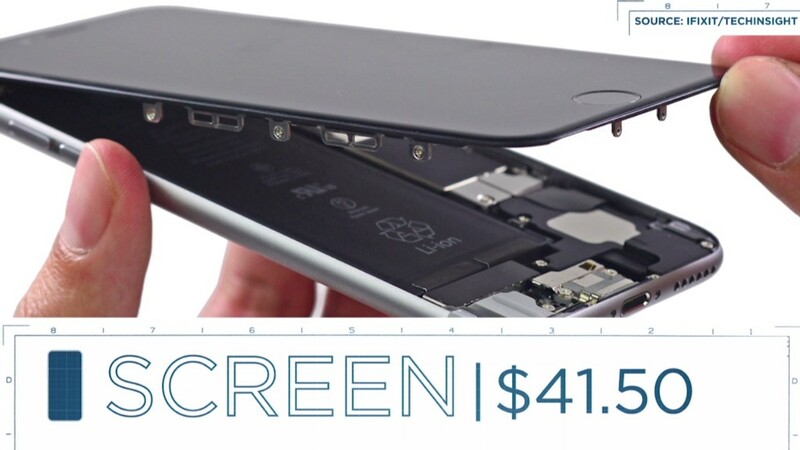 If you paid an extra $100 or even $200 for a smartphone with more storage, you got ripped off. We quickly fill up those gigabytes on our smartphones with photos, videos, apps, music and all sorts of other cherished personal files and mementos. Constantly deleting those files is a pain, so splurging on extra storage is a bullet many of us have chosen to bite. But smartphone makers pay as little as a sixth of what they charge you for those extra gigabytes of storage. And that applies to all of the four largest U.S. smartphone makers -- Apple (AAPL), Samsung, LG or Motorola. The flash storage drives installed in the iPhone 6 cost Apple just $7.55 per 16 GB, according to TechInsights, a patent consultant that performs gadget tear-downs. The 32 GB of storage included the Galaxy S6 costs Samsung $14.50. That means the difference between a base model 16 GB iPhone 6 and a top-of-the-line 128 GB iPhone 6 costs Apple about $53. It costs you $200. 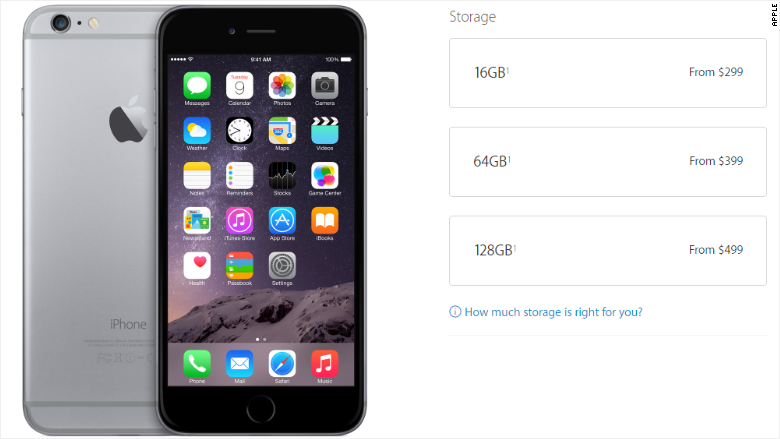 Apple charges you as much as $100 for just 48 extra GB of storage. It's even worse for a Galaxy S6. The difference between the base 32 GB model and the best 128 GB model costs Samsung $44. But Samsung charges you $200 more. None of the four smartphone makers commented for this article. Luckily, there are ways to avoid overpaying for storage. 1) Back up your photos. You can use Google's wonderful new Photos app to store all of your photos and videos. Google (GOOGL)will give you free, unlimited storage, albeit in a somewhat smaller file size. If you're not planning on blowing up your photos, you'll be fine. 3) Use cloud drives. You can use DropBox, Google Drive, Microsoft (MSFT)OneDrive or Apple iCloud to manage your files in the cloud. 4) Clean your phone. And if you use apps such as DU Speedbooster for Android or PhoneClean for iPhones, you can clear out unnecessary files that accumulate on your phone. 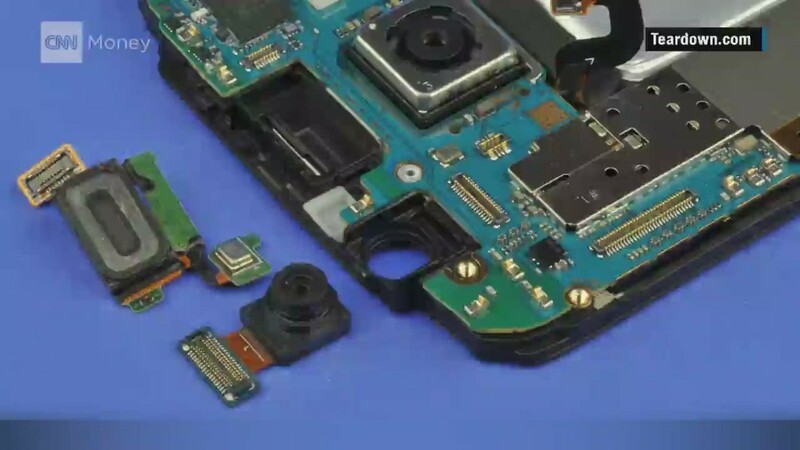 5) Buy a phone with a micro SD slot. Along with removable batteries, micro SD expandable storage slots in phones have largely gone the way of the dinosaur. But there are a few remaining holdouts, including the excellent LG G4. You can buy a 128 GB micro SD card on Amazon for about $60. It's not as fast or robust as your phone's internal storage, but it'll do the trick nicely for photos and videos. So if overpaying for storage isn't your thing, you've got a way to fight back.